In a decision in the Family Court of Suffolk County, Judge Teresa Bryant Whelan, in October of 2011, granted a father who was active in the military, residing in Virginia, custody of his children. Judge Whelen, in her opinion, stated that the parties had agreed to separation and joint legal custody. Initially, the mother was the residential custodial parent. In his petition to modify the custody application, the father alleged the mother had stopped taking her mental health medication. It also alleged she abused drugs and alcohol. As a result of the mothers improper conduct her children were removed from her care. The maternal grandmother was the temporary custodial parent. Unfortunately, the grandmother worked long hours and had difficulty caring for the children. The Court found that the father was the more fit parent and it was in the children’s best interest that custody be changed and he be given residential custody. The Court indicated in its decision even though the father was an active member of the United States Air force and subject to possible relocation, it was still in the children’s best interest that custody be awarded to him. 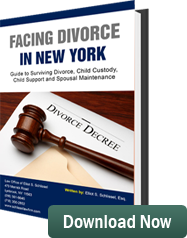 This case is an example of the continuing development of a father’s right to have custody of his children in New York.